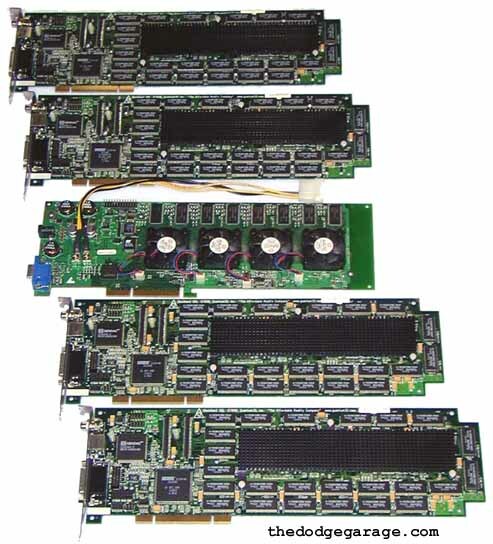 A: Mercury ("the brick") is four Quantum3D Obsidian2 200SBi video boards for a total of eight Voodoo II chipsets with 96 MB configured for parallel operation. A Mercury Heavy Metal system operates under NT4 or Windows 2000 and works with Glide or OpenGL based applications. Q: What is Heavy Metal? A: Heavy Metal™ is the family name for Quantum3D's integrated visual computing systems that are optimized for multi-channel visual simulation and training applications. Designed for deployment applications, Heavy Metal systems are packaged in 4U rack-mount enclosures with industrial cooling and shock mounting. Available in stand-alone or in multi-channel rack configurations, Heavy Metal systems come in several different configurations-with different motherboards, Intel Slot-1 (Pentium-II or Pentium-III) processor(s) and Quantum3D realtime 3D graphics subsystems crafted to meet the need of specific training and visual simulation requirements. Q: Is there more then one version of the Mercury brick? A: Yes there is black bricks and green bricks. The Black bricks are the early version with 100 mhz ram and 4 individual heatsinks on just one side of the individual boards. The green bricks have 125 mhz ram with a single long heatsink on both sides of the individual boards. Early "black" Obsidian2 200SBi with 100mhz ram. A fully assembled "brick"! 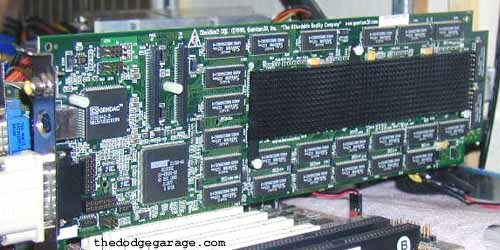 A total of 8 complete Voodoo II chipsets! Front side of a single 200SBi- The two long black connectors above the Digital bridge chip are for the riser card interface connectors. Backside of the 200SBi, click image for larger version in new window! 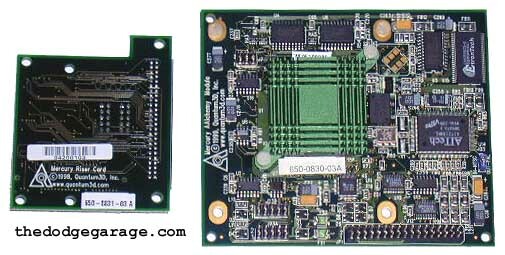 One of the four riser cards on the left that connects the individual 200SBi's to the controller card. 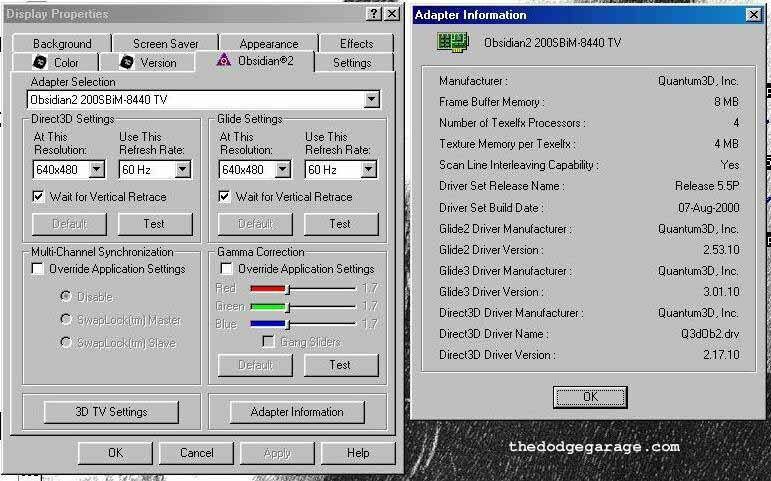 To see what the Quantum3d display properties look like under Windows 98SE for a single 200SBi click here to view a screenshot. To get an idea of the shear size of the 200SBi here is a group shot with a V5-6000, which is almost an inch shorter!